Leipzig is an attractive tourist destination and student city with an active creative community in Saxony in Germany. It is a beautiful and affordable city with friendly people, who are loved by German speakers for their lovely accent. Leipzig is easy to access from international destinations and it is easy to get around the city. Many points of interest can be reached by foot or bycicle and the proposed university venue for LGM is located right in the middle of the city. There is also an efficient public transport system. The city government of Leipzig is very positive towards Free and Open Source (FLOSS). They have already switched most of their 4000 desktop computers to Free and Open Source. The region has an active FLOSS community with many events happening in Leipzig and nearby in Chemnitz (Linuxtage) or even in Berlin, which can be reached in just 1.5 hours by train. There are also many community arts and culture projects and a very nice hackerspace founded by some of our friends. The freifunk community has free wifi access points all over the city. The city is a perfect spot for LGM to connect with the local creative community, international design students, and developers. 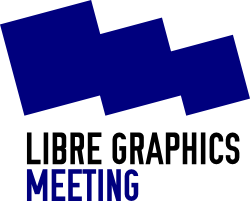 We are strongly dedicated to make this event the most International Event that the Libre Graphics Community has seen so far and we will work hard to bring contributors from Asia, Africa, the Arabic Peninsula and Latin America to this event. And of course, we want to see participants who were at past LGMs, from North America, Australia, Europe and all the other places again. We will work to give you the support to make it happen. We will bring new designers and developers from all over the world together. Let us create a space where the community can focus on new developments. Let’s create an event where we can inspire each other and get a new drive for the future. Let’s make this event a fest of creativity and innovation in the Free/Libre and Open Source community! Our core team has experience in organizing numerous national and international events including Chemnitzer Linuxtage, Ubucon, FOSSASIA, Barcamps, community gatherings and code sprints. We have excellent relations to companies and organizations using, developing and supporting Free Software and we will use our contacts to make LGM a great event. Two members have direct links to the university. We have a number of people excitingly waiting to join the larger organization team including students and staff from the university of visual arts (HGB Leipzig), members of the hackerspace Sublab, and numerous members of the free software and design community. Everyone is eagerly awaiting the outcome of the call for a host 2014 to get started. Please have a look at our Proposal, which is currently hosted to be easily edited online here.